Aliko Dangote GCON (born 10 April 1957) is a Nigerian billionaire, who owns the Dangote Group, which has interests in commodities. 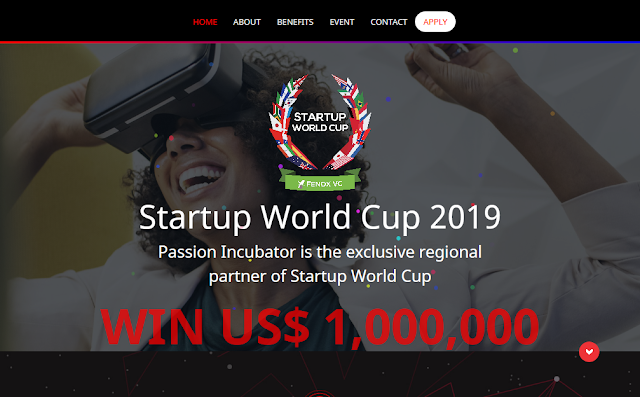 The company operates in Nigeria and other African countries, including Benin, Ethiopia, Senegal, Cameroon, Ghana, South Africa, Togo, Tanzania, and Zambia. As of February 2017, he had an estimated net worth of US$12.5 billion. Dangote hails from a very prominent business family that lived in Nigeria for many years. He is the great grand son of Alhaji Alhassan Dantata, the richest African at the time of his death in 1955. 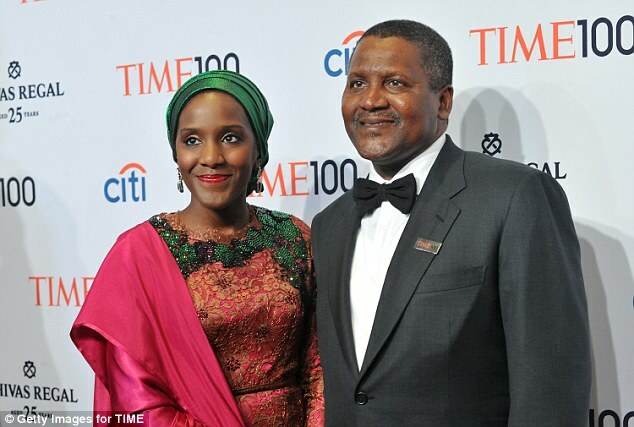 Aliko Dangote, an ethnic Hausa Muslim from Kano State, was born on 10 April 1957 into a wealthy Muslim family. Dangote said, "I can remember when I was in primary school, I would go and buy cartons of sweets [sugar boxes] and I would start selling them just to make money. I was so interested in business, even at that time." The Dangote Group was established as a small trading firm in 1977, the same year Dangote relocated to Lagos to expand the company. Today, it is a multi-trillion naira conglomerate with many of its operations in Benin, Ghana, Nigeria, and Togo. Dangote has expanded to cover food processing, cement manufacturing, and freight. The Dangote Group also dominates the sugar market in Nigeria and is a major supplier to the country's soft drink companies, breweries, and confectioners. The Dangote Group has moved from being a trading company to being the largest industrial group in Nigeria including Dangote Sugar Refinery, Dangote Cement, and Dangote Flour. In July 2012, Dangote approached the Nigerian Ports Authorities to lease an abandoned piece of land at the Apapa Port, which was approved. He later built facilities for his flour company there. In the 1990s, he approached the Central Bank of Nigeria with the idea that it would be cheaper for the bank to allow his transport company to manage their fleet of staff buses, a proposal which was also approved. In Nigeria today, Dangote Group with its dominance in the sugar market and refinery business is the main supplier (70% of the market) to the country's soft drinks companies, breweries and confectioners. It is the largest refinery in Africa and the third largest in the world, producing 800,000 tonnes of sugar annually. Dangote Group owns salt factories and flour mills and is a major importer of rice, fish, pasta, cement and fertiliser. The company exports cotton, cashew nuts, cocoa, sesame seed and ginger to several countries. It also has major investments in real estate, banking, transport, textiles and oil and gas. The company employs over 11,000 people and is the largest industrial conglomerate in West Africa. Dangote has diversified into telecommunications and has started building 14,000 kilometres of fibre optic cables to supply the whole of Nigeria. As a result, Dangote was honoured in January 2009 as the leading provider of employment in the Nigerian construction industry. He said, "Let me tell you this and I want to really emphasize it...nothing is going to help Nigeria like Nigerians bringing back their money. If you give me $5 billion today, I will invest everything here in Nigeria. Let us put our heads together and work." Dangote played a prominent role in the funding of Olusegun Obasanjo's re-election bid in 2003, to which he gave over N200 million (US$1M). He contributed N50 million (US$0.25M) to the National Mosque under the aegis of "Friends of Obasanjo and Atiku". He contributed N200 million to the Presidential Library. These highly controversial gifts to members of the ruling Party [PDP] have generated significant concerns despite highly publicised anti-corruption drives during Obasanjo's second term. On 23 May 2010, Britain's Daily Mirror reported that Dangote was interested in buying a 16 percent stake in Premiership side Arsenal belonging to Lady Nina Bracewell-Smith. Dangote later denied these rumours. On 14 November 2011, Dangote was awarded Nigeria's second highest honour, the Grand Commander of the Order of the Niger (GCON) by the President, Goodluck Jonathan. Dangote reportedly added $9.2 billion to his personal wealth in 2013, according to the Bloomberg Index, now making him the 30th richest person in the world, in addition to being the richest person in Africa. 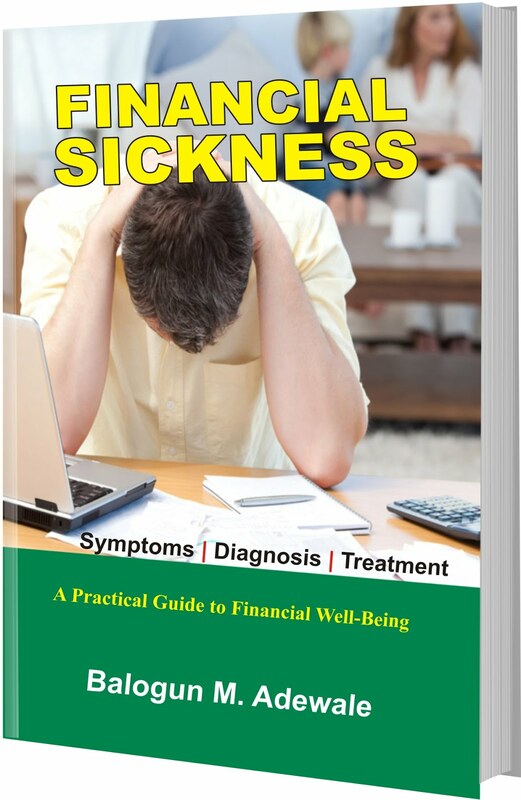 In 2014, the Nigerian government said Dangote had donated 150 million Naira (US$750,000) to halt the spread of ebola. 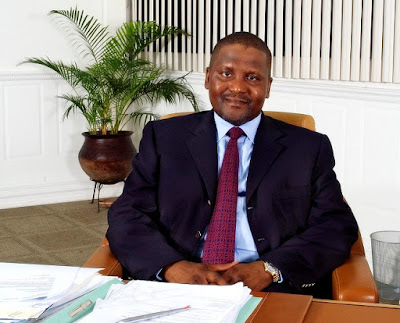 In May 2015, Dangote expressed interest in purchasing the English football team Arsenal. He stated that if he was able to make the purchase he would fire the club's long-standing manager Arsene Wenger. Dangote was named as the Forbes Africa Person of the Year 2014. The other nominees for the award were South Africa's Public Protector, Thuli Madonsela, Nigerian author, Chimamanda Ngozi Adichie, Director-General of the Securities and Exchange Commission, (SEC), Arunma Oteh, and President of the African Development Bank, Donald Kaberuka. In 2013, Alhaji Dangote and six other prominent Nigerians were conferred Honorary Citizenship of Arkansas State by Governor Mike Beebe who also proclaimed May 30 of every year as Nigeria Day in the US. The other prominent Nigerians are: Chief Ms. Temitope Ajayi, the President and CEO of Nigerian-American Agricultural Empowerment Programme; Governor Rabiu Kwankwaso of Kano State; Dr. Akinwunmi Adesina, Minister of Agriculture and Rural Development; Prof. Tajudeen Gbadamosi, a former lecturer of University of Lagos; Prof. Ade Adefuye, the Nigeria's Ambassador to the United States; Prof. Julius Okojie, the Executive Secretary of the National Universities Commission.